Nicola Anne is a couture designer bridal wear label that has been established for over 20 years. We pride ourselves on being a British designed and manufactured label. Everything is done in house and this gives us the opportunity to offer you a unique and bespoke service on a range of our gowns. Nicola Anne stocks her couture gowns in carefully selected bridal boutiques in the UK and overseas. View our list of stockist and feel free to contact them in order to view the collections. In addition take a look at our calendar of designer days & events as this will give you a fantastic opportunity to meet the designer and possibly have your gown bespoke to your very own needs and requirements. 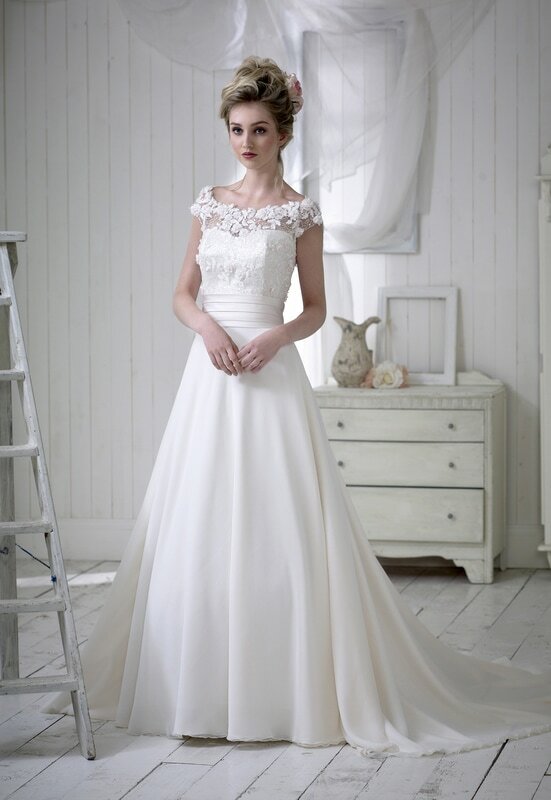 ​For bridal boutiques wishing to stock our designs there are many ways to get in touch with us. Alternatively we exhibit at various trade shows in the UK and overseas, please see our calendar of events for full details.